Hello, friends! Welcome to the first Trip Report Tuesday post of 2016! I've decided to break day five into two parts, keeping it simple and sweet for you all. Ready for a Disney fix? Let's get right to the magic then! This was one of my favorite mornings! The girls slept in a bit and my parents enjoyed a laid back morning in our villa. 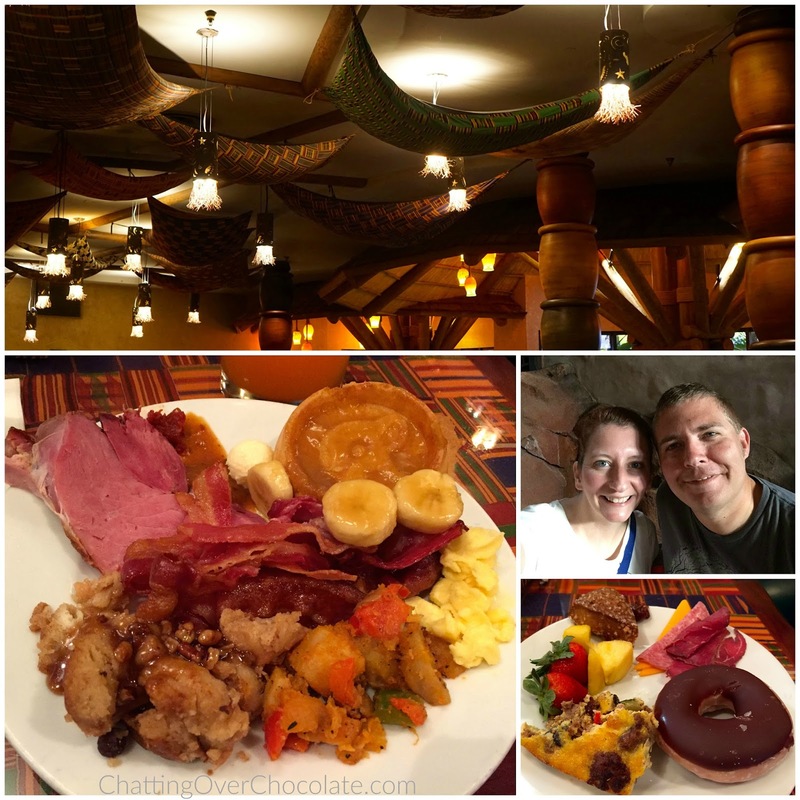 Meanwhile, Jason and I went on a breakfast date at Boma! 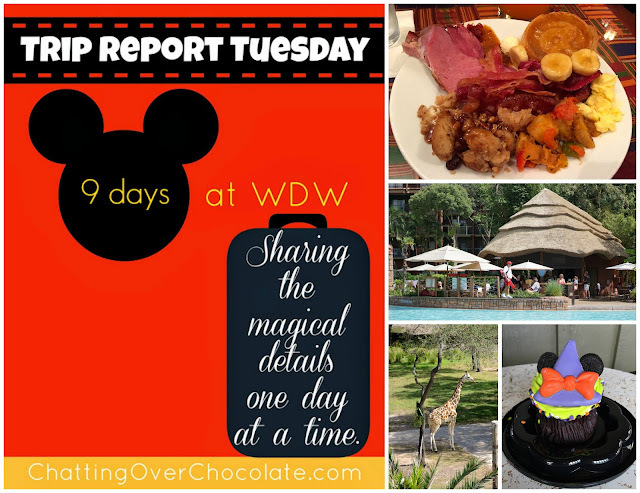 It was so nice to simply head downstairs to one of our favorite restaurants and enjoy some sweet one on one time over such treats as Simba waffles and french toast bread pudding! YUM! After breakfast we decided to take a stroll over to Animal Kingdom Lodge's Kidani Village to explore it a bit. 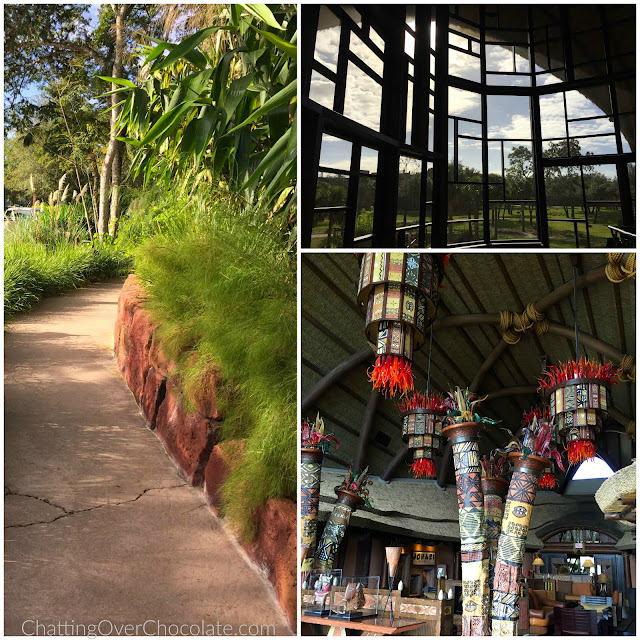 We took in the beauty of the lobby, browsed through the gift shop, then enjoyed a nice walk and talk on the way back to the Jambo House. I relished every magnificent moment of this morning out with my man! Animal Kingdom Lodge's Jambo House lobby is awe-inspiring! 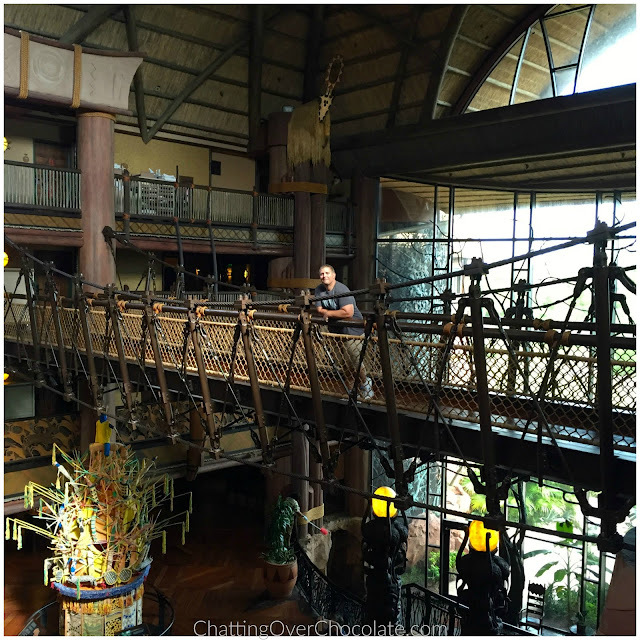 We loved crossing this gorgeous bridge every time we made our way to and from our room! I'm so glad that we kept the morning and early afternoon free on this particular day to enjoy time together at our home resort, Animal Kingdom Lodge. It was a refreshing and memorable part of the vacation. Then we soaked up that glorious golden Florida sunshine at the pool! 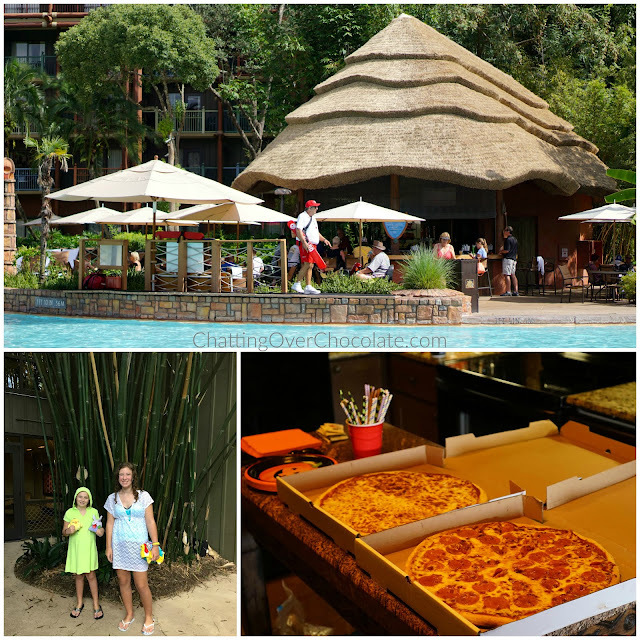 Sunning, swimming, and water sliding works up in appetite which led to our in-room pizza party. 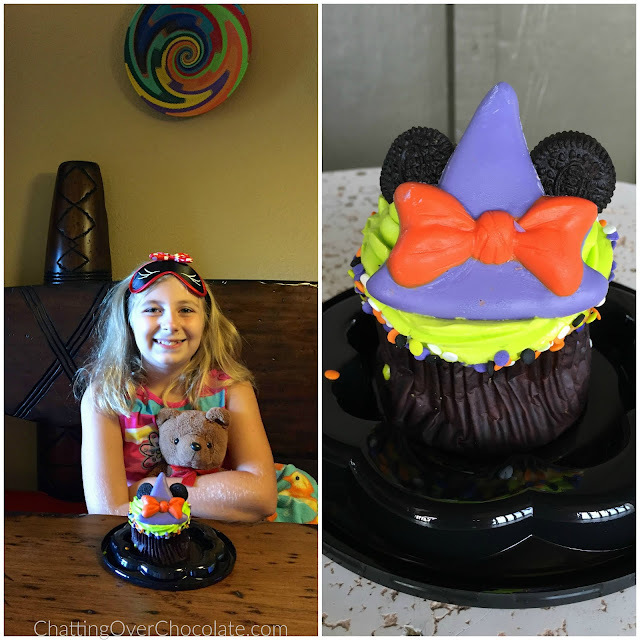 After lunch we pulled out some cute costumes and headed to our favorite Disney World hard ticket event, Mickey's Not So Scary Halloween Party! 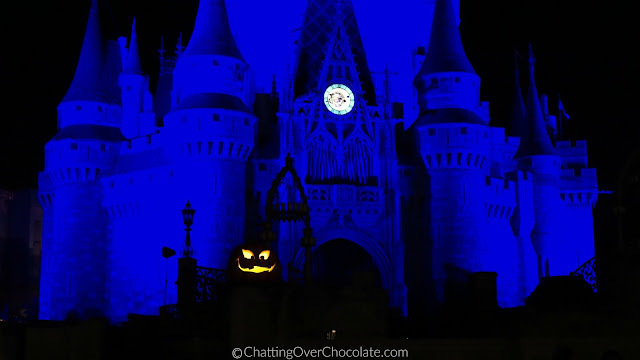 Hope you'll be back next Tuesday to see the festive fun we enjoyed that evening at Magic Kingdom! Yes, yes, YES! Okay, first of all--I have a thing for bridges! I LOVE admiring them....usually from afar! ;) Some bridges scare me, but I really do love the architecture of bridges! THAT bridge is incredible! <3 One of my favorite things about your trips is that you are able to make time with one another--you and your hubby or one on one time with the kiddos. A breakfast date looks like a great time! And what a TREAT to lose a tooth at Disney World! ;) And pizza....of COURSE! The fact that you took your own Halloween plates does not surprise me and just makes me adore your thoughtfulness to detail even more! Thanks for sharing!!! 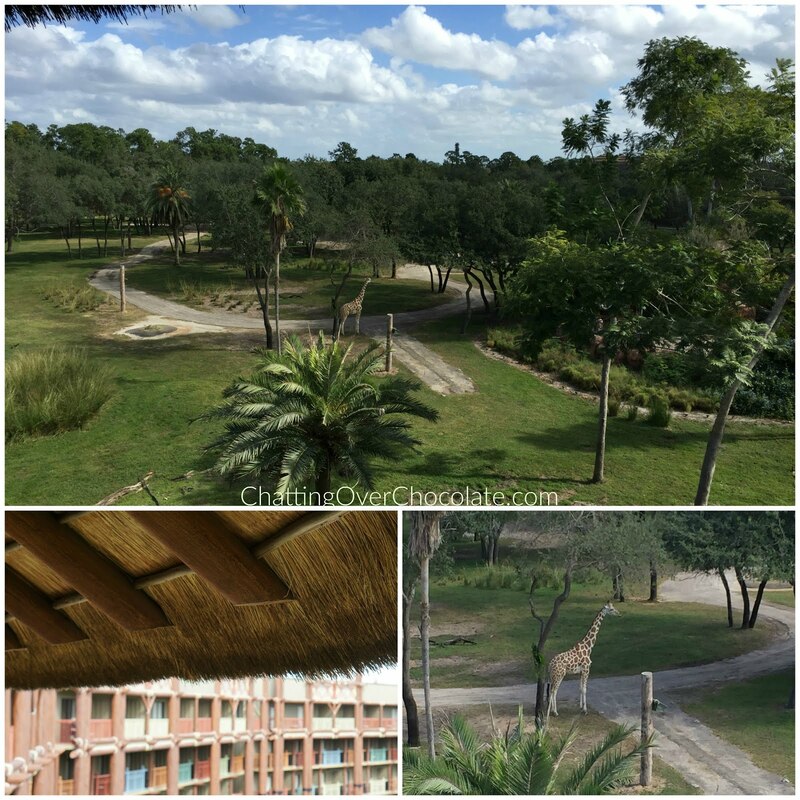 Even though we live locally, we always talk about going to one of the Animal Kingdom resorts. So beautiful! What a fun trip! I love all the fun pictures- it looks like it was a great family bonding time. I just LOVE Disney posts! We stayed at the Animal Kingdom Lodge, too and I loved the view of the animals from our balcony. I wish we had walked around on the grounds more like you did! We ate dinner at their buffet restaurant, I can't think of the name off the top of my head- but, it was SO good! those pizzas look so yummy!! what an awesome time you had! Boma looked so delicious! And your resort - amazing! Greatest tooth fairy treat ever - love it!